My first memories involving video games are about those arcade bars, back in the early ’80s. I was probably 6 years old, and I was mesmerized by what was happening in those dark rooms, where the “bad” kind of people were hanging out, drinking and smoking, surrounded by TV lights and amazing sounds. To get the context, during that communist era, kids here only had 5 minutes of the same bad cartoons per day. So peeking inside one of those arcade rooms back then, was like being on an alien space ship these days. 30 years later I realized that those were the most famous arcades, titles like Phoenix, River Ride, Moon Patrol, R-Type, Rolling Thunder (favourite) just to count a few. Years later, I had my first contact with a Z80 computer, at a club for kids, where two friends of mine have played an amazing game called Yie Ar Kung-Fu. I managed to convince my parents that computers are good for kids, so they sent me too. With my first push of a computer button, I crashed my Harrier plane, right after taking off. I wanted to make games since that very first day. I wanted to play, but also to create. And I don’t expect this passion to ever end. I had my own Z80 computer at the age of 15 and I got good pretty fast. There was no internet back then, and we had to discover most of the things ourselves, by trial and error, or from hard to find magazines. By the end of my Z80 time, I was able to write assembler games that looked pretty much like other commercial games. My parents bought me my first PC late in high school and I soon learned to make games for PC. We had MS-DOS back then and DOS/4GW and 320×200 with 256 colours palette. I was working in Pascal and assembler. I learned C++, but I’ve started with 3D and DirectX a bit later. My passion became a job in 2000, and I’ve been working as a programmer in the industry since then. I was an engine programmer at first, but in the last years focused more on gameplay. For my personal projects I had developed my engine, but for some years I use Unity3D, which helps me focus more on the game. Beside this, the regular, Blender, Audacity, Perforce, Google Docs and Sheets, etc. It’s tough to choose one. I think the Dizzy series (Z80) played the most important role. For me as a kid, they were the first adventures, games with story and puzzles and drama. Also, I have the most exciting times playing Saboteur2 (Z80) with my friend for hours and hours, exploring the secret compound, always feeling there’s more to it. 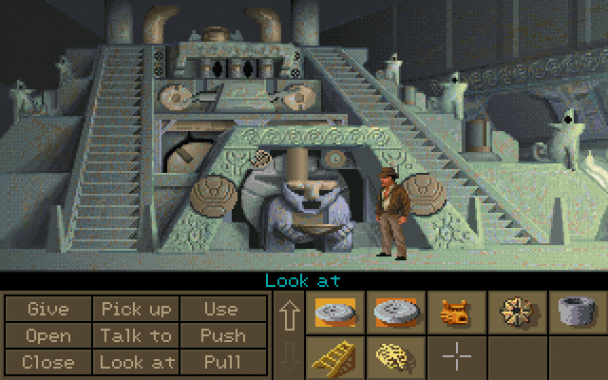 But if I have to choose just one, I always say it’s Indiana Jones and the Fate of Atlantis (PC). I think this game gave me the most amazing and unexpected experience, compared to what I’d seen until then. Arthur, one of my Z80 adventure games. Then, there were many small or half-games for PC, but my dearest projects are Saboteur95 (http://www.simion.co.uk/saboteur), and DizzyAGE (http://www.yolkfolk.com/dizzyage), both tributes to what inspired me in my early days. DizzyAGE is an engine for creating fan-made Dizzy games and there are over 140 titles made and with it. Plus one of my own, called Dizzy And The Other Side (www.yolkfolk.com/tos). I’ve got the chance to meet the Oliver Twins and, seeing their original Dizzy plans on paper, it took me back to when I was a kid. At Blitz Games, with the Oliver Twins and the DizzyAGE Easter Competition winners. 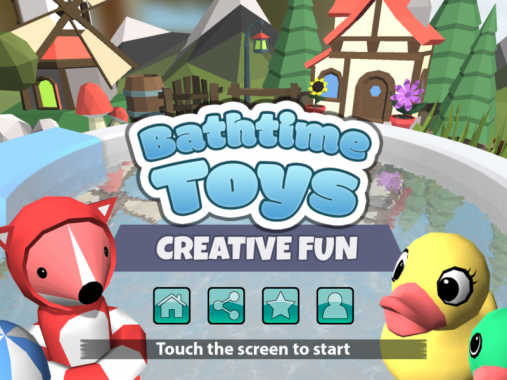 I also had a try at mobile games with Bathtime Toys (https://itunes.apple.com/app/id1175839537) for iOS, running on motivation from my own kids. Beside the big games at my day job, I always enjoy exploring my creativity through small personal projects, including board games, writing, or DnD sessions. 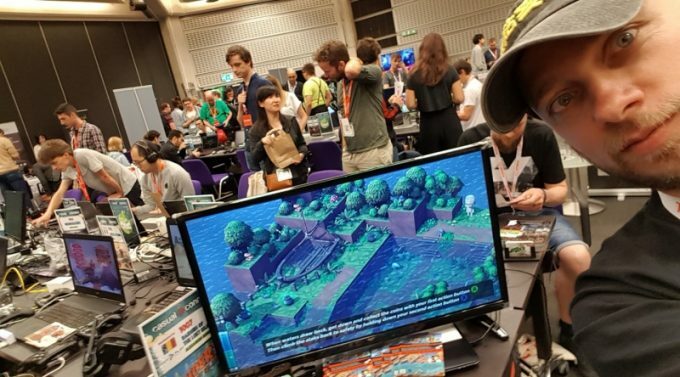 Raiders Of The Lost Island is a local co-op party game where up to 4 players compete in looting treasures from a sinking island, while building together a raft to survive the final wave. As always, my current project is my greatest challenge. 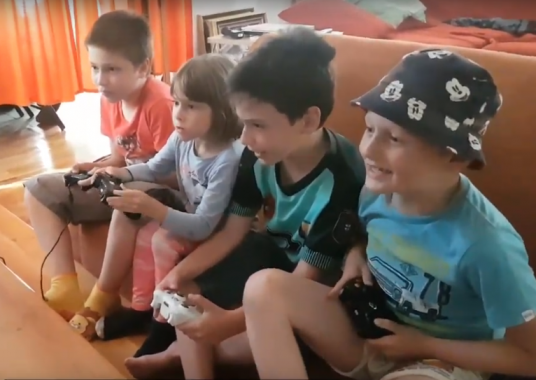 It started at Global Game Jam in 2017 and, for such events, I usually try to come up with something fun that we can play in the family. This one proved worthy to put the effort and finish it. The whole idea was to drive players against each other, to have them fight for treasures, but then force them cooperate in order to survive. When I came up with this, I didn’t know if it would work. But it did and it was fun, and we had some very intense moments playing with kids. I took it to some exhibitions and game conventions and people enjoyed it. Two years later, I’m getting closer to the release, but still a few things to do. Working mostly alone on an indie project in the spare time is not the biggest hurdle, though. For me it’s marketing and reaching the players. I’m not particularly good at this and with Raiders Of The Lost Island I tried to learn a few things. Unfortunately, the couch co-op genre with no online multiplayer is a pretty narrow niche. This year, I plan to release at least on Steam and see where it goes from there. My greatest drive is my family and that we still enjoy playing it! I have a few other recent demos from game jams that I’d like to finish. And a long trail of “great” design ideas, more or less proved by prototypes. Not to mention a board game that is waiting some final touches. But you never know until you are done with the current project. Yes, but my play time is limited. I very much enjoy the big adventure titles like Uncharted, The Last of Us, Horizon Zero Dawn, The Walking Dead series, Dark Souls, and some occasional point and click games. I can’t say I have a single favourite. I can’t come up with a candidate for the worst game title. I usually do some research before playing something and it’s usually good, if not great. However, if I go back in time, I remember being very disappointed by Dizzy Down the Rapids, for not being a true Dizzy adventure like we thought. I think the interviews are a really great idea. I’d like to see more insight from people who are behind the games I played as a kid. I’d like to hear more of their stories, what inspired the developers, the funny or the sad moments. Feature them by game and let the developer go into details, because these things rarely make it to the players, unless you’re really famous. And why not release a big book with these stories?